© Michigan Newspaper Group. All rights reserved. Huron Daily Tribune is a dialy newspaper in Bad Axe. It serves Huron County, in the upper part of "The Thumb." The Huron Daily Tribune, in Bad Axe, is the Upper Thumb’s only daily newspaper. It is the area's best source for all things local sports, news and advertising. Midland Daily News is a daily newspaper serving Midland County. Home to Dow Chemical, Dow Corning, Chemical Bank and Northwood University, Midland has been named one of Michigan's top ten places to raise a family. The Pioneer Group is an award-winning newspaper covering Big Rapids, greater Mecosta County, Osceola County and parts of Lake and Newaygo Counties. Big Rapids is home to Ferris State University and is the "tubing capital of Michigan" as the mighty Muskegon runs through the community. The university adds diversity and cultural opportunities to visitors and residents alike. The News Advocate is Manistee County's leading source for local news, sports and events. 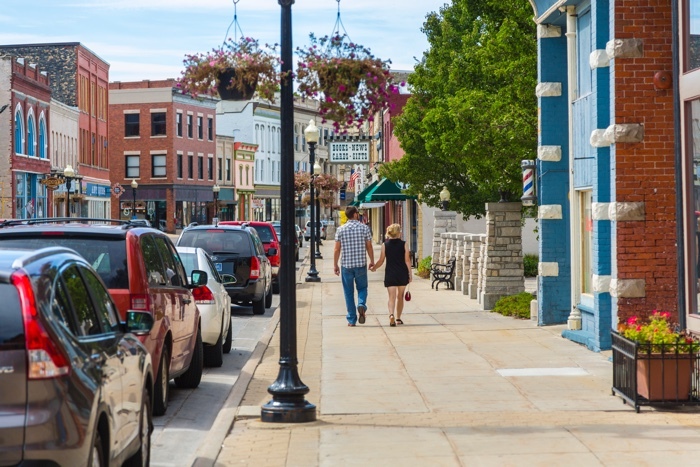 Manistee sets on the shores of beautiful Lake Michigan and mixes tourism and small town charm into to it's relaxed culture. A vibrant downtown and a diverse mix of local industry provides a solid economic base for the region. The News Advocate is Manistee county’s leading source for local news, sports and events. Published Monday through Saturday, the News Advocate traces it's roots back to 1914, when the Manistee Daily Advocate and the Manistee Daily News consolidated into one newspaper. The News Advocate provides compelling content featuring education, religion, senior activities, local history and local entertainment. High school sports and activities that abound along the Lake Michigan shoreline are reflective of the passion of the community. The News Advocate also publishes recreational guides and other niche publications solidifying it's role as the information source and center of commerce in the region. The Midland Daily News was founded in 1858 and acquired by Hearst in 1979. The newspaper has earned many awards, including AP News Member of the Year from the Michigan Associated Press. The Newspaper Association of America has presented national awards to the Daily News for Best Circulation Promotion and Best Local Advertising Campaign. The Daily News' website, OurMidland.com, offers community news, wire reports, business, sports and entertainment. The Pioneer is an award-winning, six-day per week newspaper covering Big Rapids, greater Mecosta County, Osceola County and parts of Lake and Newaygo Counties. The Pioneer, founded in 1862, has strong emphasis on community journalism with complete coverage of schools, government, courts and news of general interest. Complete local sports coverage is featured, as well as coverage of Ferris State University athletics. The Pioneer also publishes a variety of niche publications and magazines - many focused on the abundant recreational opportunities in West Central Michigan. In 1979 Hearst acquired Huron Publishing Company, located in Michigan's Thumb area of Huron County in Bad Axe, Mich. This acquisition also included Huron Publishing's weekly newspapers located in the adjacent counties; the Marlette Leader in Tuscola and the Vassar Pioneer Times in Sanilac. Huron County is surrounded by Saginaw Bay to the west and Lake Huron to the east, creating 93 miles of shoreline and a significant tourist industry. The "Thumb" is one of the leading agricultural regions in the state. Central Huron County is also the home of Michigan's first commercial-scale wind farm. The Daily Tribune has been recognized with several prestigious honors, including awards from the Newspaper Association of America and Inland Press Association.